We catch up with the inventor and instigator of the original Polimotor to see what has changed, and why the project is returning to frontline development. Justin Cunningham tells the story. With so much plastic on modern vehicles, are any metal parts safe? Surely the engine is one area that must remain ‘heavy’? Well, it seems not, and the ‘safe list’ for those that love the shiny stuff is about to get even smaller as plastics giant Solvay resurrects a project from the 1980s. The Polimotor 2 internal combustion engine sets out to replace 10 metal engine components with plastic, including the water pump, oil pump, water inlet/outlet, throttle body, fuel rail and cam sprockets. With the parts made from seven of its high-performing thermoplastics materials, it aims to reduce the weight of an engine by up to 40%. 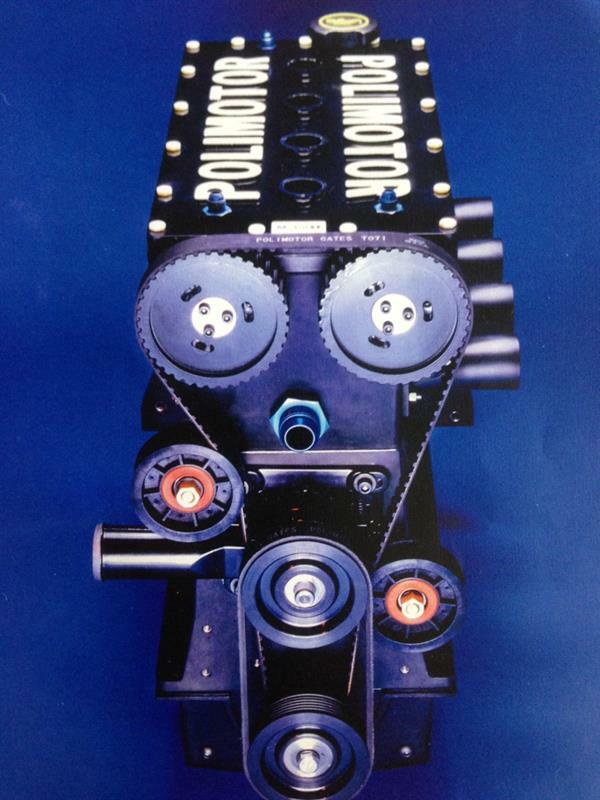 For those old enough to remember, the original Polimotor was a project pioneered by US engineer Matti Holtzberg, who set out to produce the world’s first plastic engine. The original project saw engine weight cut in half from 76kg to just over 35kg. And the Polimotor was no delicate proof of concept. The engine was run ragged over two seasons as it powered a Lola T616 in a GT Championship race series. While Holtzberg’s Polimotor generated a huge amount of interest from both engineers and the media, the US market was in the mist of change toward larger V8 engines. Though there was plenty of intellectual curiosity, there was little commercial demand. The project was, in all respects, before its time. This is not a journey of nostalgia for Holtzberg, but rather a return to some unfinished business. Today, carmakers are actively pursuing technologies to meet CO2 standards and lightweighting through metal replacement has been a key enabler in reducing fuel consumption. Though Polimotor 2 is not being developed with specific OEMs in mind, it will act as a working showcase to demonstrate what modern engineering plastics can do to lightweight powertrain components. Solvay says it can foresee a time when the engine will go in to serial production, though at present it has no plans in place to do so. In the shorter term though, possible spin off applications include developing a polymer range extender for hybrids and plug-in hybrid vehicles. Ultimately, though, Holtzberg wants to get the Polimotor back on the track. He plans on installing the new engine on the Norma M-20 concept car to race next year, and even plans on entering the Le Mans 24 hours endurance race in 2017. 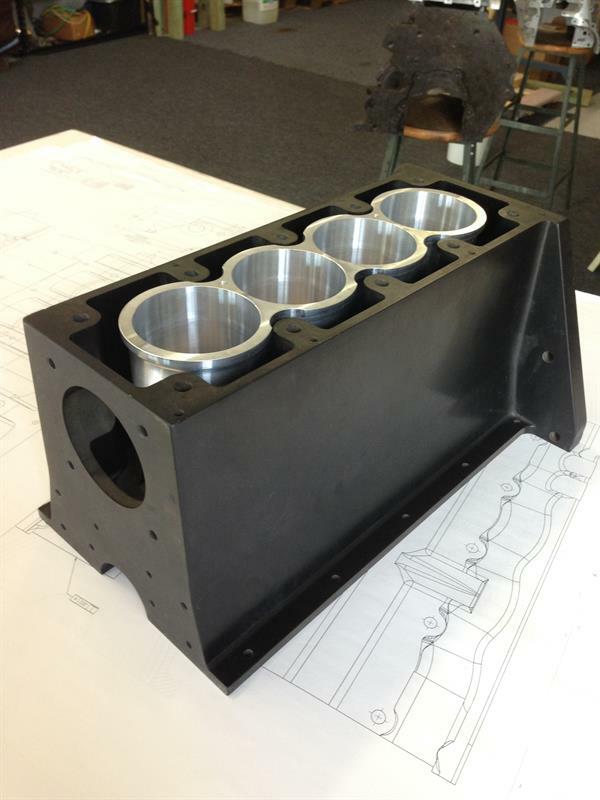 Polimotor 2 will not be ‘all-plastic’, however, and metal is used for the four cast combustion chambers and the four machined cylinder bores, which are mechanically incorporated in to the engine. And common sense dictates a plastic crank shaft or flywheel is neither feasible nor advantageous. The improvement and control of modern plastics really opens up parts for metal replacement, which many would never dream possible. For example, there is a good chance that part of the turbocharger will be made out of plastic as the materials are able to cope with higher thermal loads without loss of mechanical properties. “We are looking at certain parts of the camshaft where plastics, and reinforced plastics, can substitute metal,” says Holtzberg. “I hope you may see an injection moulded engine block, sump, and plastic camshaft. It is not just lower weight where plastics are able to compete. Corrosion resistance coupled with lower NVH are two areas where there is genuine advantage. But, of course, there are some areas where metal has to be used such as the combustion chamber where temperatures are just too high. A key consideration is the retention of mechanical properties at elevated temperature. However, developments are always on going, and both Solvay and Holtzberg are keen on finding, and breaking, the limits. Current ideas include the possibility of developing plastics not just for the engine, but for the gearbox and running gear. Indeed, why can’t you have a plastic gearbox housing if you can make an engine block from it? The plastic engine has waited for a suitable application. So long as the internal combustion engine is built it will use metal and run on fossil fuel. We have a low stress and temperature, powerful transport engine to replace the ICE that will be cheap to produce in plastic and will run on bio-ethanol. Current stocks of ethanol are at 22.6bn barrels, a 4-year high, and rising Exhaust is just neutral CO2 and water. It is important that the engine is marketed with ethanol as a package, it would be simple to highlight plastic at the same time.